Richard Pryor was arguably the single most influential performer of the second half of the twentieth century,and certainly he was the most successful black actor/comedian ever. 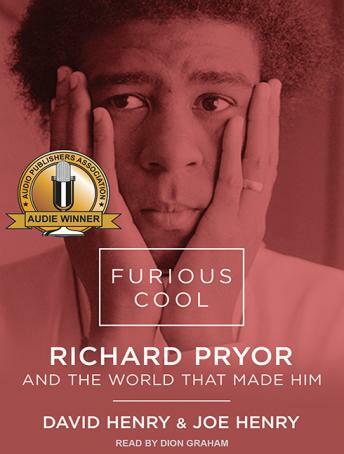 Controversial and somewhat enigmatic in his lifetime, Pryor's performances opened up a new world of possibilities, merging fantasy with angry reality in a way that wasn't just new-it was heretofore unthinkable. His childhood in Peoria, Illinois, was spent just trying to survive. Yet the culture into which Richard Pryor was born-his mother was a prostitute; his grandmother ran the whorehouse-helped him evolve into one of the most innovative and outspoken performers ever, a man who attracted admiration and anger in equal parts. Both a brilliant comedian and a very astute judge of what he could get away with, Pryor was always pushing the envelope, combining anger and pathos, outrage and humor, into an art form, laying the groundwork for the generations of comedians who followed, including such outstanding performers as Eddie Murphy, Chris Rock, and Louis C.K. Now, in this groundbreaking and revelatory work, David and Joe Henry bring him to life both as a man and as an artist, providing an in-depth appreciation of his talent and his lasting influence, as well as an insightful examination of the world he lived in and the influences that shaped both his persona and his art.